MEIS Roofing & Construction wants you to save money and live more efficiently with solar shingles. 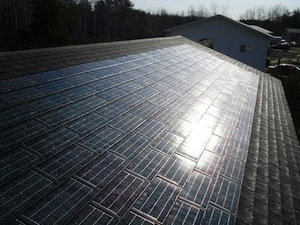 DOW Powerhouse Solar Shingles provide free energy using the sun’s rays to power your home. 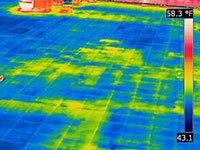 Essentially, solar shingles make your roof work for you, gathering and distributing power to your entire home. In fact, DOW Powerhouse Solar Shingles will more than pay for themselves over time, making them a great investment. On top of that, solar shingle options increase the value of your home, so if you’re planning to sell in the future you’ll be more likely to receive higher offers. 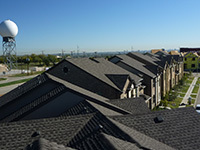 Be sure to see our other residential roofing types that may be right for your home. 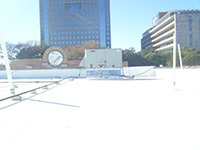 While DOW Powerhouse solar shingles are durable and can withstand even the toughest weather conditions, MEIS Roofing & Construction is standing by should you ever need repairs. Our residential roofing repair team can handle everything from malfunctioning solar shingles to cracked or damaged shingles, and all work is guaranteed. Additionally, DOW provides great warranty options for its solar products, so you’re always protected. As with all of our roofing services, you’ll be advised of all of your options before any work begins so that you can make an informed decision about your home. Once we’ve installed your DOW Powerhouse solar shingles, we can also maintain your roofing to ensure extended life. Our residential roofing maintenance experts use the latest in technology to ensure proper operation of everything from your individual solar shingles down to your breaker panel. If a problem is found, we can make recommendations to correct it, and you’re always in charge of what work is to be performed. Our roofers take the time to educate our customers regarding their options because we believe that upfront and honest service is the only way to do business. Contact MEIS Roofing & Construction today to learn how you can start saving money & helping the environment with Dow Powerhouse Solar Shingles. Call our team at 866-211-1116.